A trio of hill sleuths were disappointed when, after extensive measurements of a Yorkshire Dales peak found it just failed to measure up to the 2,000ft mark – a generally accepted height for a mountain. Calf Top, part of Middleton Fell in the western Dales, was just ¾ of an inch shy of the magic mark when Myrddyn Phillips, John Barnard and Graham Jackson surveyed it using accurate professional-level GPS equipment in 2010. 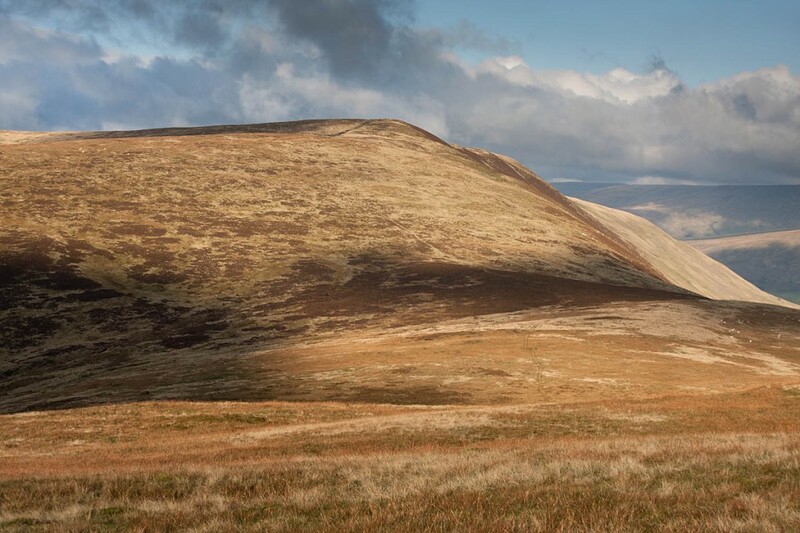 Fast -forward six years, and Ordnance Survey, Britain’s official mapping agency, announced it had updated its model for determining heights of the country’s hills. Some were higher; some lower. After some detective work, one of the trio, Myrddyn Phillips, realised the implications for Calf Top. And a new British mountain was born. The peak beats the 2,000ft mark by 6mm – about the thickness of a smartphone. So if you’re planning to visit the new mountain, tread softly; all that hard surveying work could be undone by a pair of heavy boots. Myrddyn Phillips here recounts the story of the three men who went up a hill and, six years later, realised they had come down a mountain. Calf Top, at grid reference SD 664 856, is situated in the north-western part of the Yorkshire Dales and rises above the valleys of Barbondale to its South-East and Dentdale and the River Dee to its North-East. The hill – as it was – is rather eloquent in shape with steep eastern slopes descending to the minor road beside the Barkin Beck, whilst its south-westerly slopes descend toward the village of Barbon. Calf Top is separated from its higher neighbourly peaks of Great Coum and Gragareth by the deep cleft of Barbondale, meaning that although it is not as high, it is still prominent above its surroundings. However, it is the height of the hill and not necessarily its prominence that is of interest as its accurately surveyed height has recently increased, not by much in the grand scheme of things, but nevertheless by sufficient to reclassify it to the dizzying heights of just over 609.6m, which for the imperial-minded takes the hill to the benchmark height of being a 2,000ft mountain. This hill, or shall we now call it, mountain, has a convoluted history of being accurately surveyed as those intrepid hill sleuths. Barnard, Jackson and Phillips spent six hours atop the then hill in 2010. They visited twice, the first time in April when they gathered two hours of summit data, and the result proved so close to the all-important 609.6m/2,000ft benchmark height that they re-visited the following month and gathered a second data set, this time their prolonged stay on the summit came to four hours. Each data set were sent to Ordnance Survey who processed the data via Bernese software, with the result being a tantalizingly 609.58m, just 2cm, or for those imperial enthusiasts a mere ¾ of an inch under 2,000ft. Resigned that such a result cannot be argued with and satisfied that they had done as much as they could; the three intrepid surveyors packed their gear away and headed toward their next surveying project. However, all surveyed heights in Britain are dependent upon Ordnance Survey base stations, whose height and position are known extremely accurately, they are also dependent upon the geoid model that Ordnance Survey use to ascertain these heights, and this geoid model has just been updated, this is known as OSGM15. Using OSGM15 takes in the latest transformations that incorporate new gravity data and iron-out any discrepancies. OSGM15 has meant that the majority of heights that have been produced by precision GPS equipment will alter, not by a great amount, but in certain cases like Calf Top, by an amount that makes all the difference. The following analysis was produced by Alan Dawson, who is a list author and surveyor of repute: areas most affected are in the main in Scotland with Lewis (up by 20-30cm), Barra (down by 20-30cm), Trotternish and Applecross (down by 10-20cm). East Mull and part of Argyll (down by 5-15cm), and the Scilly Isles (down by up to 35cm). The affect that OSGM15 has had on accurately surveyed heights in both England and Wales is not as great as in certain parts of Scotland, with the majority of heights that have been produced by precision GPS equipment going up by 2-4cm. This 2-4cm total is all important as it increases the known height for Calf Top. 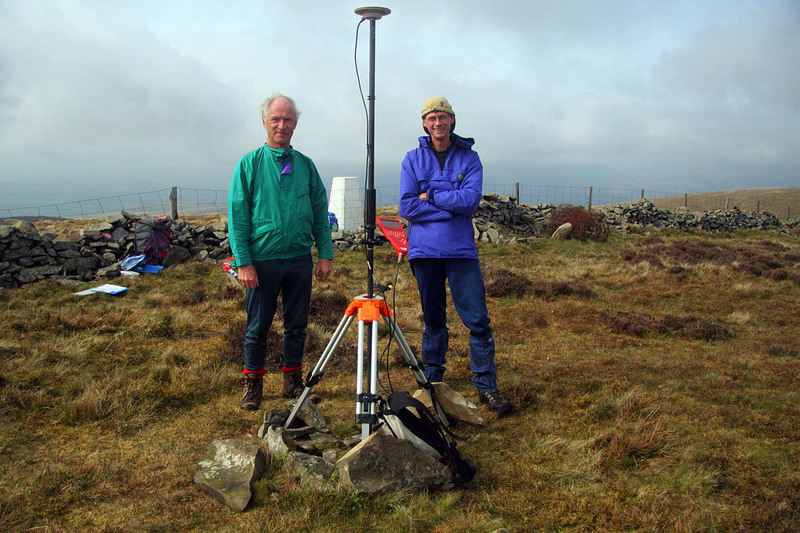 The new height for Calf Top produced by Ordnance Survey using OSGM15 is 609.606m. This is 6mm over the threshold height of 609.6m/2,000ft. Small margins can sometimes make all the difference. Calf Top is currently listed as a ‘Dewey’ (hills in England, Wales and the Isle of Man at or above 500m and below 609.6m in height – Michael Dewey, published by Constable in 1995). One of the listings that Calf Top can be promoted to is; ‘Nuttalls’ (mountains in England and Wales at or above 609.6m/2,000ft in height with 15m minimum drop. The Mountains of England and Wales volume 2 England – John and Anne Nuttall, first edition published by Cicerone Press in 1990). Calf Top can also be promoted to the ‘Hewitts’ (mountains in England at or above 609.6m/2,000ft in height with 30m minimum drop. The Hewitts and Marilyns of England – Alan Dawson, published by TACit Tables in 1997. The word Hewitt is an acronym for ‘Hill in England, Wales or Ireland over Two Thousand feet high’). As the height produced by Ordnance Survey in 2010 from data sent them by the three intrepid hill sleuths came to 609.58m, maps were then updated from the 609m spot height of the day to a rounded figure of 610m. Thankfully this rounded figure will now remain as although the conversion necessitated by OSGM15 increases the known height of Calf Top, its map value had already been updated, and for those confused souls who walked up what they thought to be a 610m high mountain but only reached a 609.58m high hill, they can reclaim their senses in the knowledge that their efforts weren’t in vain. This article was amended following a request from John Barnard for clarification of figures in the story. Mr Barnard sought guidance from OS and the piece has been amended to contain the correct figure of 609.606m. "... a generally accepted height for a mountain". I really don't know where this comes from. Someone says it, and then someone else says it, and eventually it's "generally accepted" I suppose? But it's a meaningless distinction based on a completely arbitrary criterion. In my opinion, in the UK and Ireland they're all hills On the other hand, Calf Top is now in a couple of hill lists that it wasn't in before, so this is important to those interested in those lists. It's history, if you read the introduction to George Bridge "The Mountain's of England and Wales" he gives the history of hill lists prior to the publication of his book in 1973. His book was the first published [for general consumption as opposed to club journals] list of English and Welsh Hills. These lists have changed over the years both in content due to surveying and naming due to who writes the list. After Bridge for 2000' hills came Buxton & Lewis and also Dewey and finally Nuttalls. An interesting question for some is what is the definition of a hill? Is the lower height band for such a thing defined? There is a definition of 'mountain' in the Countryside and Rights of Way Act 2000. There, it says mountain is land over 600m. My trusty calculator tells me this is a fraction above 1968 ft 6in. Based on that, Calf Top was mountain already. Chris writes "After Bridge for 2000' hills came Buxton & Lewis and also Dewey and finally Nuttalls". Just for the record the two volume The Mountains of England and Wales was first published by Cicerone Press in 1989/1990. Dewey's Mountain Tables was published six years later in 1995 (and listed exactly the same tops). For Scots everything is a hill, including Everest, which is just a big hill. It makes a difference for me. I've gone from having 9 Hewitts left in Eng/Wal to having 10! But that aside there's a number of reasons to climb Calf Top anyway, regardless of its height. The main one for me being it looks to be a darn fine hill/mountain. There's certainly many tops of much greater altitude within a 20 mile radius that are less worthy of your hooves too. Of course if you collect trig points you could easily make a nice circuit of this and the nearby Holme Knott and probably wouldn't see another soul all day (until now of course). 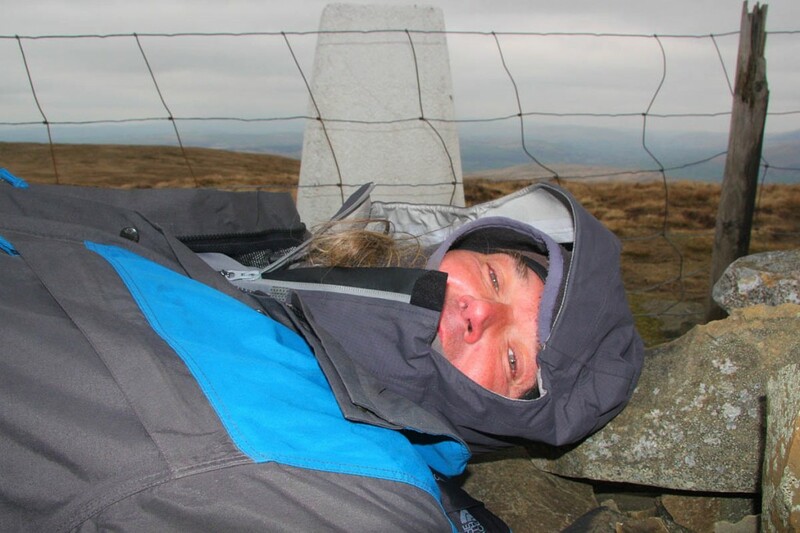 Hi Johnd202, if interested in my Mapping Mountains blog, drop me an email, my address can be found on the 'About Me' page heading.